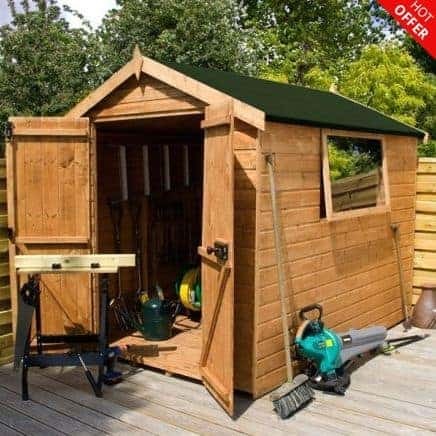 This 8 x 6 apex shed benefits from tongue and groove work inside it and around it. 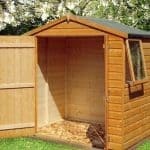 The special interlocking units keep out moisture and any other impact that would bring damage to the shed. 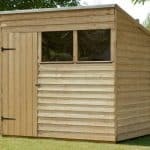 The apex roof offers extra height, so even if you have large and tall tools and equipment you should have no problem storing them in this building. 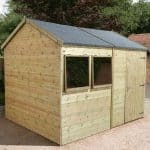 The double doors are Z braced. 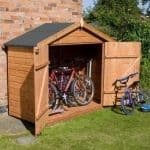 That strength is enhanced by a rim lock construction on the door. 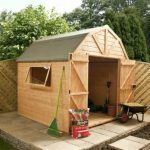 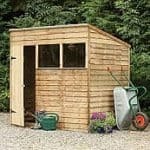 This durable and very safe building is an asset to any garden.